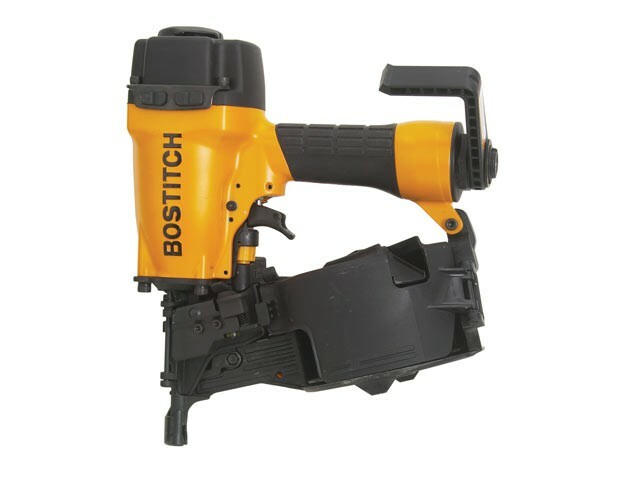 The high capacity N66C-2-E coil nailer is designed with a tough, resilient housing but uses light weight materials, making this tool ideal for all day use. The fastener depth adjustment gives ultimate control, and the tool is also compatible with both plastic and wire collated nails for maximum flexibility. Nail Length: N Series: 32-64mm. Nail Diameter: N Series: 2.03-2.5mm. Operating Pressure: 70-120 PSI, 4.8-8.3 Bar. Dimensions (LxWxH): 267 x 270 x 118mm.